Last June, a high-speed passenger ferry crashed into a jetty in Hyannis, Massachusetts that left fifteen people injured. The ferry, named the M/V IYANOUGH and operated by the Wood’s Hole, Martha’s Vineyard and Nantucket Steamship Authority, crashed into the jetty a few miles from the dock. Due to heavy winds and rough seas, the evacuation process was slow, but eventually the Coast Guard was able to safely transport everyone off the ferry. 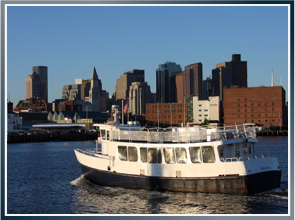 In December, the owner of the M/V IYANOUGH filed a lawsuit in the Federal Court of Boston, Massachusetts to eliminate their liability in the summer crash or to limit damages available to injured crew members and passengers. What Is a Petition for Limitation? The owners of the M/V IYANOUGH are seeking to eliminate their liability in this case unless the claimants, which would be the injured crew members and passengers from the ship, can prove that the owners had privity or knowledge of the negligent or “unseaworthy” conditions of the vessel upon its departure from the dock. This Petition for Limitation of Liability places a larger burden on the injured crew members or passengers in proving liability. The Petition for Limitation of Liability will be denied if the judge presiding in the case believes that the owners did have privity or knowledge of unseaworthy or negligent conditions, but if the Court grants limitation, the claimants will have to equally split the limitation fund (from $6 to 7.4 million). As part of the Petition, the Federal Court will be issuing an injunction that will stay any current lawsuits and will prohibit any further lawsuits from being filed in relation to the crash. The Court will also set a deadline as to when claims by the injured crew members and passengers need to be filed by. If a timely claim and answer is not filed in the Petition for Limitation of Liability, then an injured crew member or passenger is time barred from bringing any claims down the road. It is now the time for the injured crew members and passengers’ duty to fight this Petition for Limitation of Liability and file an Answer and Claim. If they don’t hire attorneys and file a timely claim by the deadline set by the Court, they will be unable to make claims in the future as a result of their loss. The attorneys at Latti & Anderson already currently represent several passengers. Don’t hesitate to contact our office if you are also interested in representation due to your injury from the M/V IYANOUGH crash. Next How Do I Get Licensed to Drive a Recreational Boat in Massachusetts?